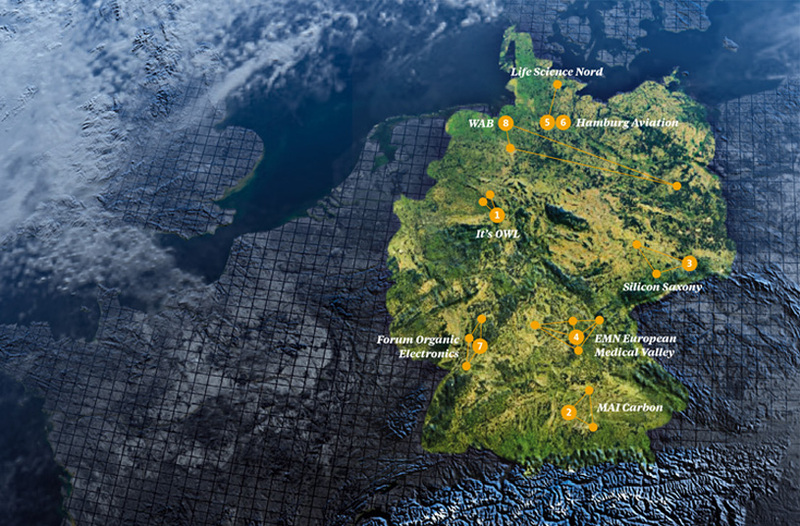 Germany has many clusters, each with a different industry focus (e.g. microelectronics, aviation, or life sciences) but all sharing a common format. In these regional networks, large companies can be found working with startups, SMEs and local universities or scientific institutes to develop innovative products and services for the global market.